The all new innovative 2 in 1 cosmetics, the flagship products of MosquitNo! Protect yourself against the sun and against mosquitoes at once! Through a joint development MosquitNo has created a new cosmetics series protecting against the sun and the mosquitoes! We already see a huge demand for our 2in1 solution. The active ingredient Saltidin® is used in the MosquitNo Cosmetics line. Saltidin® is as effective as DEET, but it is non toxic. Saltidin® is recommended by the World Health Organization as the best healthy alternative for DEET. 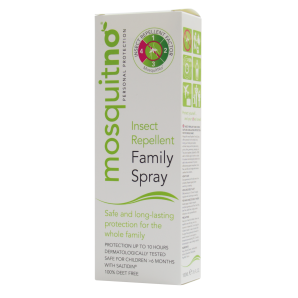 Our cosmetics will protect you against all mosquitoes and horse flies, ticks and midges. Saltidin® is effective against the Aedes mosquito which transmits diseases like Malaria, Chikungunya and Zika. 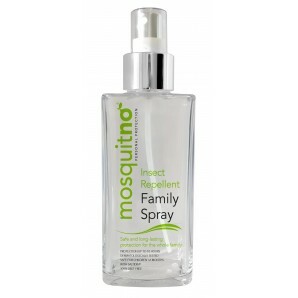 MosquitNo Insect Repellent Family Spray offers protection for the whole family during your holiday a..